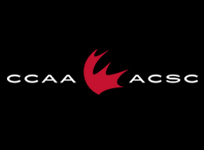 Mackenzie Silbernagel led the University of the Fraser Valley women’s soccer team on a stirring second-half comeback on Saturday evening, as the Cascades earned a 2-2 draw on the road at UBC. 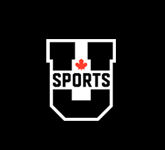 The host Thunderbirds opened a 2-0 lead on goals from Danielle Steer and Alyssa Hunt, but the UFV side got a pair of goals from rookie forward Silbernagel to pick up a point against the nation’s No. 4-ranked team. 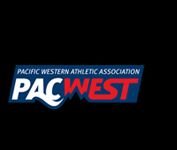 It was the Canada West finale for both teams – UBC (10-3-1) locks up second place in the Pacific Division and a first-round playoff bye, while UFV (5-5-4) finishes fifth in the Pacific and will meet the Mount Royal Cougars in their post-season opener. 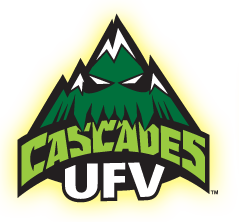 Afterward, Cascades head coach Rob Giesbrecht noted that his team managed four points on the tough UVic-UBC road swing, having knocked off UVic 2-0 on Friday. 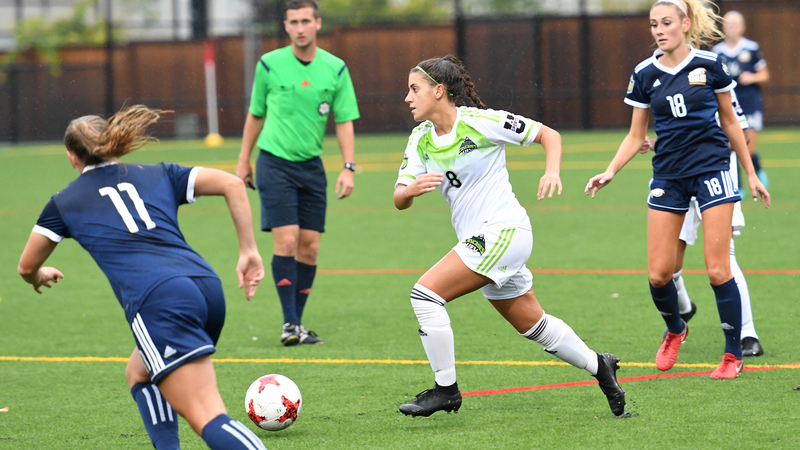 With their playoff spot already secured, the Cascades played without captain Brittney Zacharuk and centre back Taylor Nekic – one more regular-season yellow card for either would result in a one-game suspension that would be served in their playoff opener. The T-Birds, requiring at least a draw to hold off the MacEwan Griffins for second in the Pacific, were the better team in the first half, and opened the scoring in the 22nd minute on a goal by Steer. It was Steer’s 10th of the campaign, moving her one ahead of Zacharuk in the Canada West goal-scoring race. Hunt made it 2-0 in the 50th minute, with Rachel Jones notching an assist. Silbernagel went to work at that point. In the 56th, the Chilliwack, B.C. product converted off a Harneet Dadrao corner to get the Cascades on the board. Then, in the 74th, Jashan Sandhar got behind the UBC defence and was hauled down in the box by T-Birds keeper Emily Moore. Silbernagel stepped to the penalty spot and banged it in. Dadrao had a great look in the 90th minute when the ball fell to her at the top of the box, but her shot was right at Moore. Rookie goalkeeper Andrea Perkovic registered two saves, and fellow first-year Tavia Jasper had a strong game in the midfield for UFV.